I am married to a picky eater, which makes cooking a challenge. I adjust recipes so we both can enjoy them, without too much compromise. I use all organic vegetables, chicken, and bone broth. Finding recipes that both my husband and I can enjoy is a challenge. Meals need to be dense and filling—and they also need to pop with enough flavor to overshadow the taste of any vegetables. 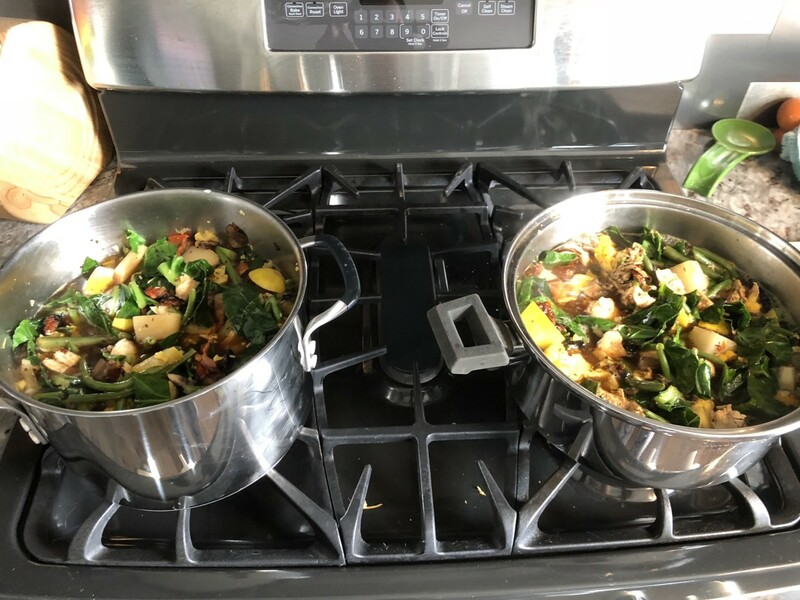 My husband is not a fan of vegetables, so whenever I cook a meal with them, I need to tweak the recipe so that he doesn't notice he's eating so many vegetables. I scoured the web looking through numerous recipes for chicken and vegetable soup that were different than the soups my mother and grandmothers made. 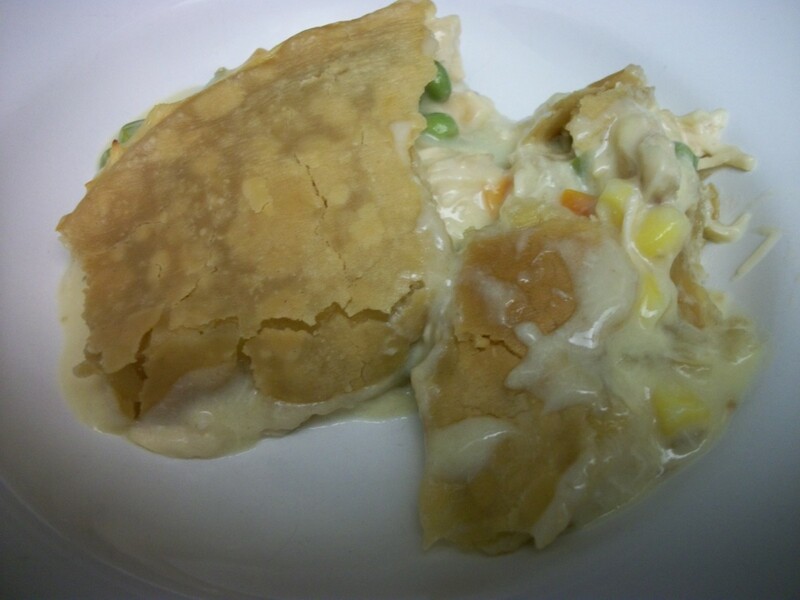 I found the usual recipes that used peas, carrots, and celery with chicken. 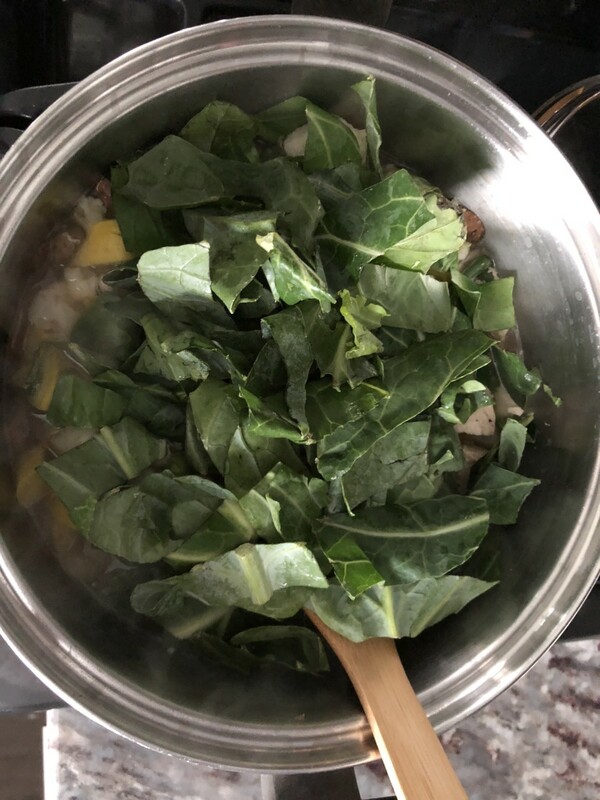 What I envisioned, however, was a soup that had numerous “nontraditional” type vegetables, as well as some kind of healthy green, like kale or spinach. I also wanted to use all organic vegetables, as well as bone broth for the base rather than the usual chicken stock. 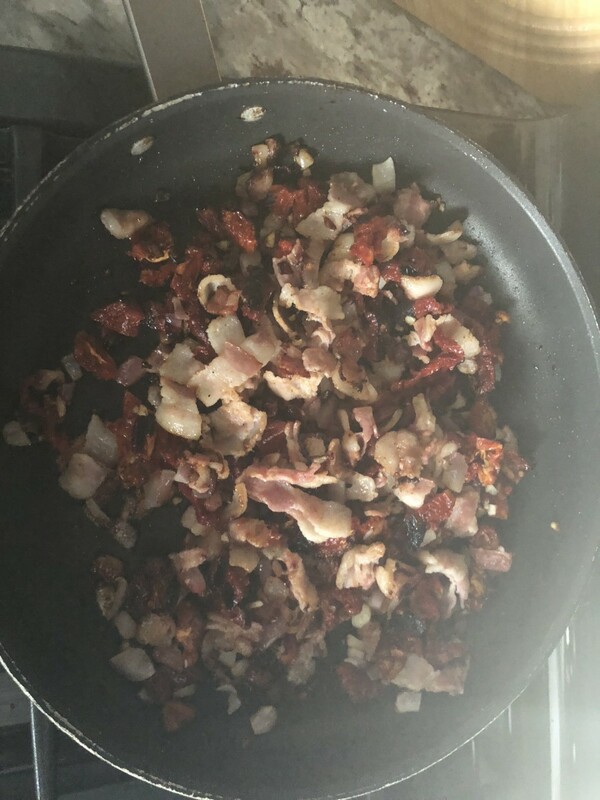 Lastly, I also wanted to include bacon, one of our favorite foods, which would help to mask the vegetable taste a bit more for my husband. I stumbled upon a ketogenic/Adkins diet soup recipe that actually looked appealing and close to what I envisioned, so I decided to try it. It had many of the nontraditional soup vegetables that I'd thought about, and it even included a little bit of bacon! My husband tried it, and much to my surprise, he told me that he could see himself eating something like it—if I could make it more flavorful and filling! I went to work reforming this “keto diet” soup recipe. I used many of the same ingredients but in different quantities. 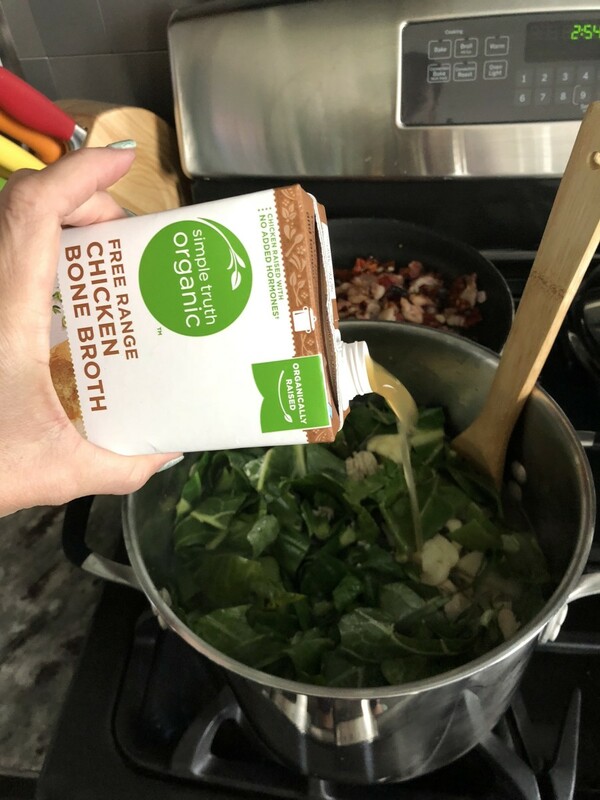 I increased the bacon, and I substituted the water and chicken stock with lots of organic bone broth. Each week, I tweaked something different—until finally, I found the perfect combination that suited his taste buds. 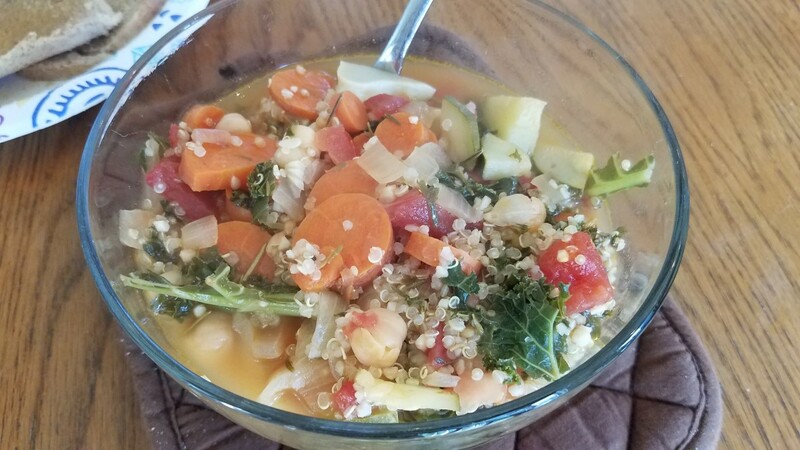 Now, my husband is eating this soup every day for lunch and bragging about it to his coworkers and anyone else who wants to listen to how he has “found a way to finally eat vegetables," even mushrooms. I have never been able to slip mushrooms into any recipe without him picking them out! This was a win-win, and I love it, too. My version of this recipe fits the bill for both a ketogenic diet and the popular Whole-30 plan. Plus, it is filling, flavorful, and very satisfying. 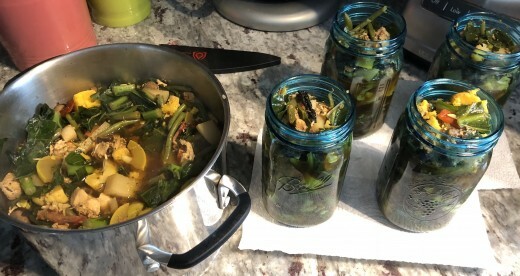 In a large stock pot (I use 2 pots because this often yields more than just one can hold depending on the size and amount of my vegetables) add the water, bone broth, and the chicken breasts (leave them whole). Boil until the breasts are fully cooked, about 20-30 minutes. 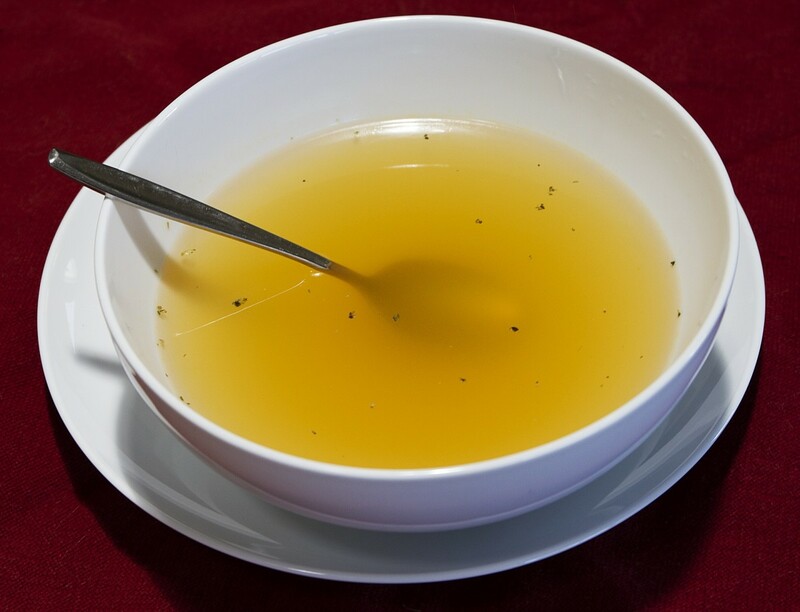 You will get awesome health benefits as well as a richer flavor from the bone broth. While the chicken is boiling, add the olive oil and bacon to a medium skilled and saute' over medium heat for 2 minutes. Add the onions, garlic, sun-dried tomatoes, and mushrooms to the oil and bacon. Saute' together for 15 minutes or until bacon is cooked, but not overly crisp or burnt. Add this mixture to the pot; do not drain. As the chicken and above ingredients are both cooking, chop and add the cauliflower and turnips to the boiling water and broth. Once the chicken is fully cooked, removed the breasts, cut into cubes and return to the pot to continue simmering as you chop the remaining vegetables. Add the squash, green beans, and swiss chard or collard greens to the pot and simmer together for 15 minutes. This is when I add sea salt and pepper to taste. Add the red wine vinegar. Stir in the fresh basil, remove from heat, and spoon into Mason jars, or your preferred storage containers, using a ladle. Allow to partially cool, cover tightly, and store in the refrigerator. For additional flavor, we often sprinkle a tablespoon or two of parmesan cheese on top after reheating this soup for lunch. Saute the first 6 ingredients together. 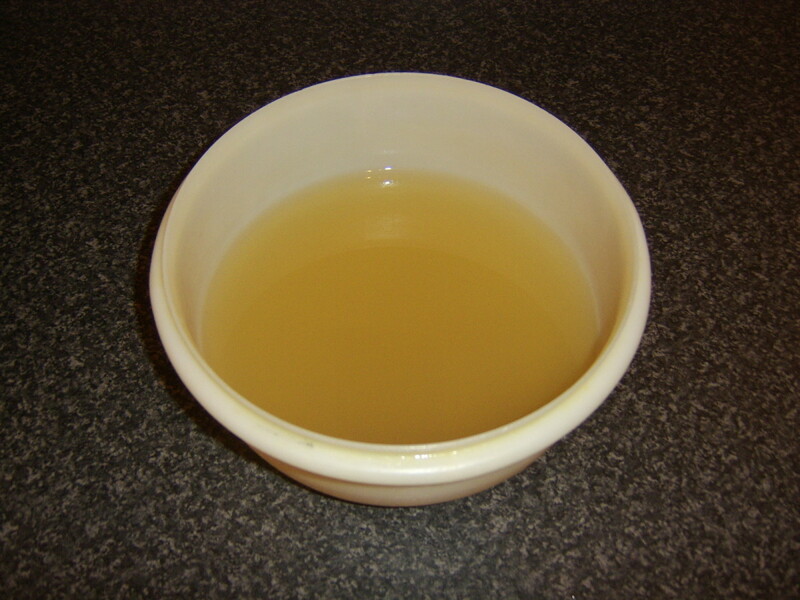 Add more bone broth if desired and/or water to achieve the desired amount of broth and thickness. 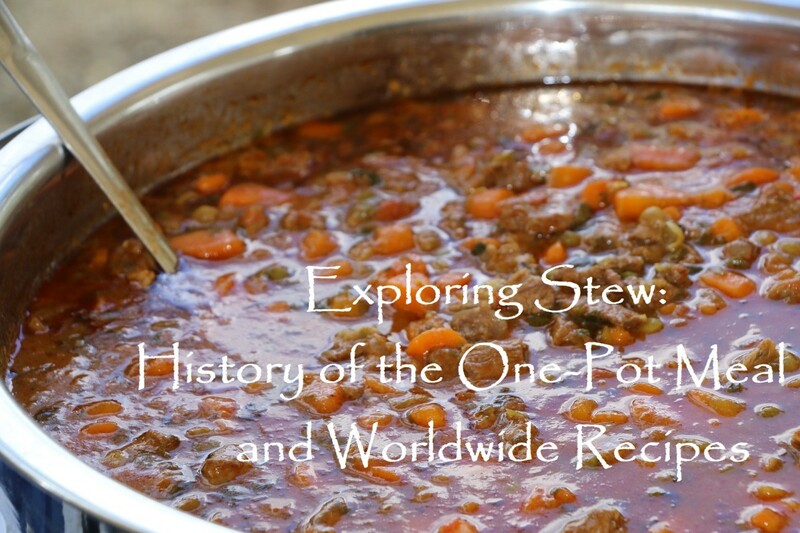 When we take this soup to work, everyone loves the aroma and has to know what's in it, if they can try it, and whether they can have the recipe. One of the best things about this recipe is how amazing it makes your kitchen smell during the preparation and for hours afterwards! Not only do I meal-prep almost every week with this, I take it to sick or post-surgery friends and family, too, and it goes down quite well and is easy on the stomach. 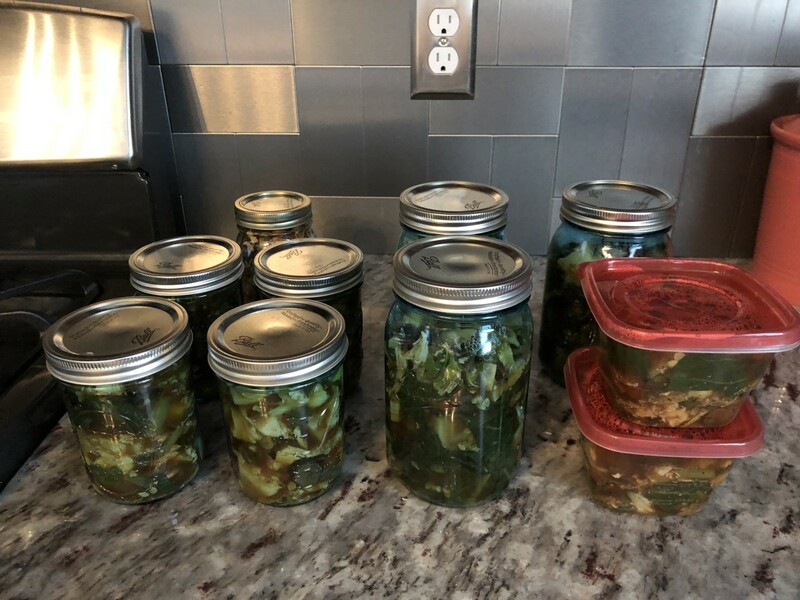 We prefer to use wide-mouth Mason Jars as they are easy to transport, do not leak, microwave easily, and can be shaken to distribute the heat after warming. Smaller portions for me, larger for my husband and a few for a post-operative friend. I often make a double batch and freeze several servings for the following week to save time. This looks really good. Perfect for a rainy day! I love it when I can find a recipe that includes veggies and my husband will eat them! That struggle is a very real thing. I’ll have to give this a try and see if my husband approves it. 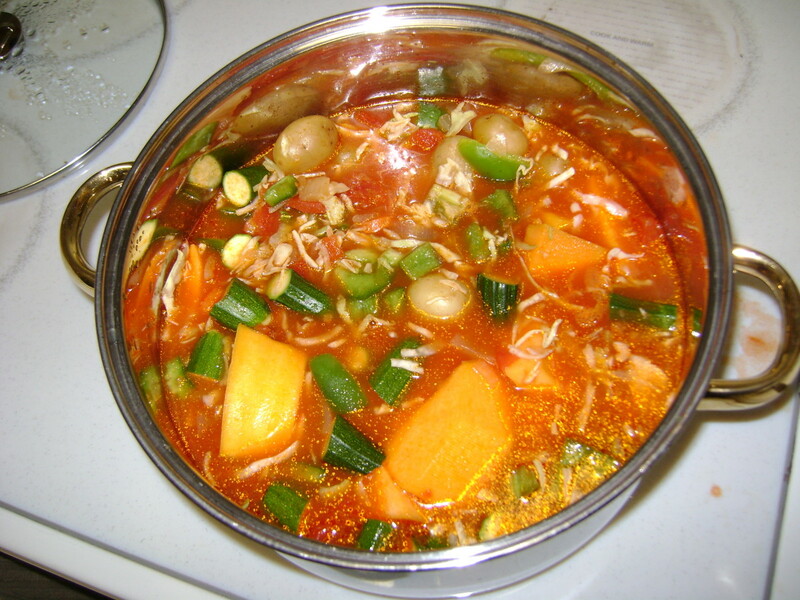 I am lover of soups and this vegetable chicken soap is a to-die for anyday. This recipe sounds delicious! Everything is greatly improved by the addition of extra bacon. I look forward to trying it out. 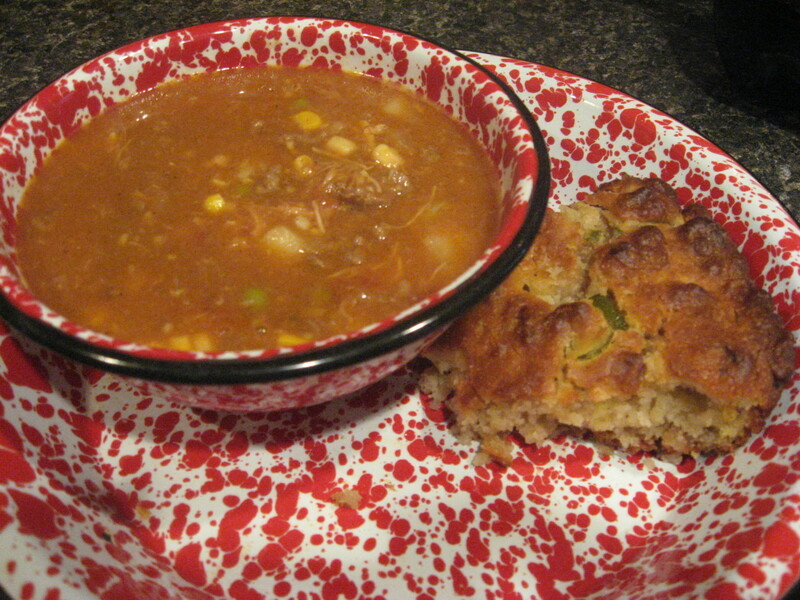 I love the green in the soup and this recipe is so very different. Would actually motivate my wife to prepare this on the weekend. Thanks foe this well written amd easy to follow recipe. Will definitely try this on weekend. This looks really delicious! I love making soup and storing them. Life can be so busy sometimes that it helps to have something delicious and healthy readily available. Yummy! I love that you have to hide vegetables for your husband kind of like you do for little kids. Some people don't change! ha! Our battle is not with each other, but with our kids. Who likes one thing and who something else. We will try it soon. I was kind of confused about which dish of chicken to cook tomorrow. Wanted to try something different. Definitely going to try this recipe. You had me at bacon. I like this twist on vegetable chicken soup. I happen to be a fan of vegetables so I'm giving this a try. Thanks for sharing. Oh I know...my husband hates most veggies, but he loves this soup! You can also use zucchini in place of the squash. I go crazy on the bacon...it's what gives it the robust flavor! This is an intriguing recipe. I would not expect squash and cauliflower to be in chicken/vegetable soup let alone bacon. I'll need to try this on for sure. 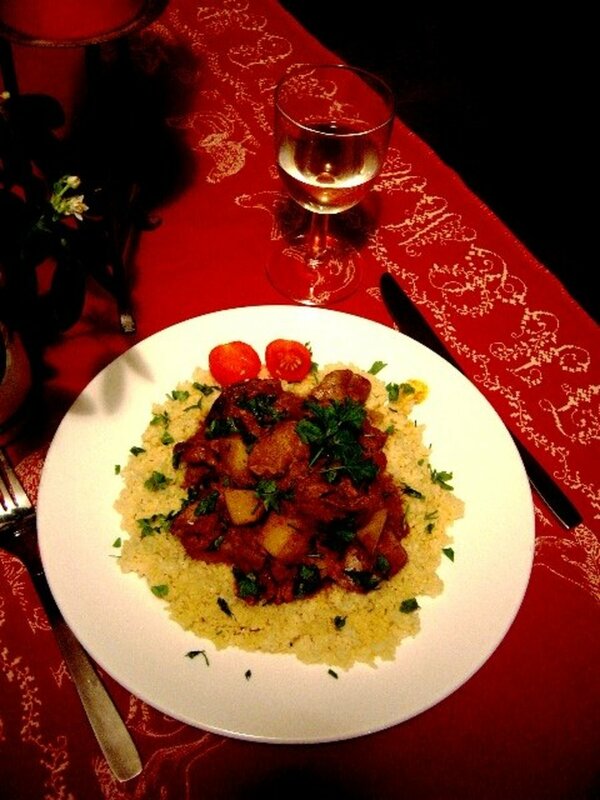 Thanks for sharing your efforts in tweaking the recipe. Being Jewish, I think I make a mean chicken soup. However, this recipe sounds like it could add some things to my own recipe. I also am not a vegetable fan so the flavor aspect is a big plus. Given you are looking for something filling, the only thing I might suggest would be to add matzo balls! Thanks for the recipe. Let me know if you try it and what you think! We are totally hooked! A smart meal on every level, and the recipe looks yum. Thanks for sharing your souped up soup.